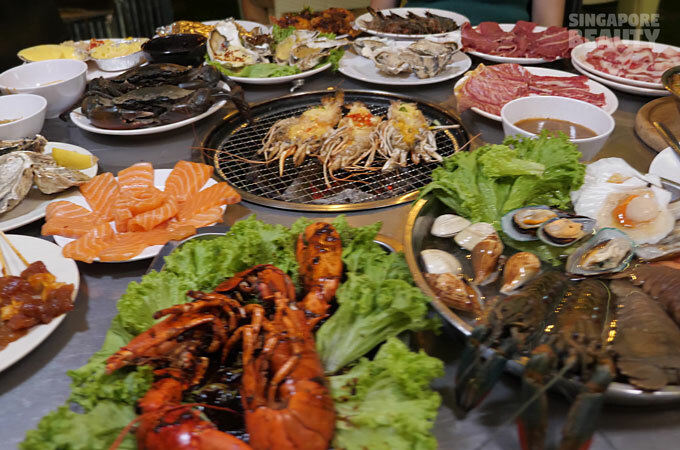 DM Chicken’s house favourite has surf and turf platter as long as 1 metre that feeds 4 pax & more. 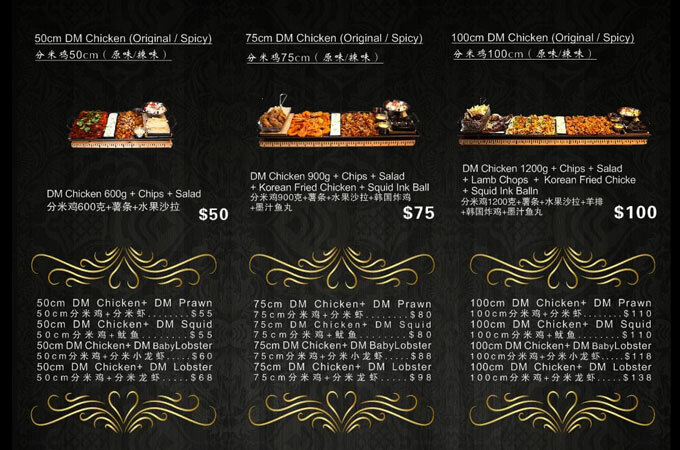 The basic DM platter starts from $50 with choice of spicy chicken and non-spicy chicken. 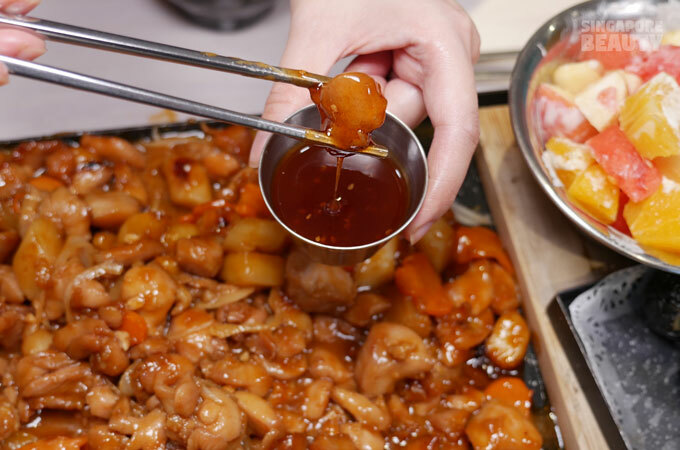 Marinated chicken in bite size sautéed in sweet sauce with potatoes, garlic, carrot, caramalised onions and Korean rice cake. The platter is kept warmed with some tea lights beneath the plate. 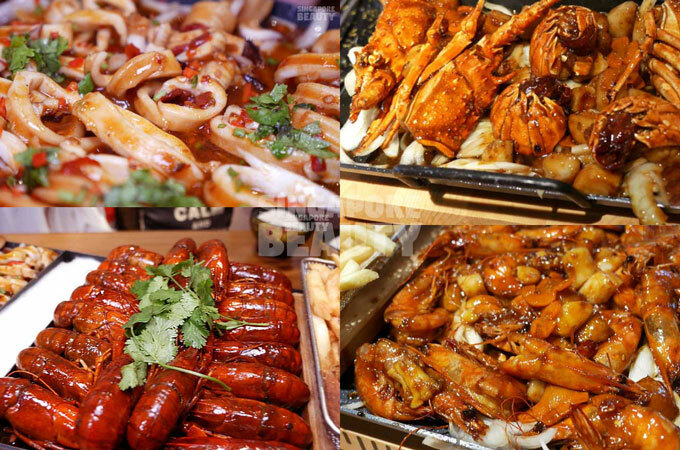 Add on items such as mid size lobster, crawfish, prawns and squid are also available. 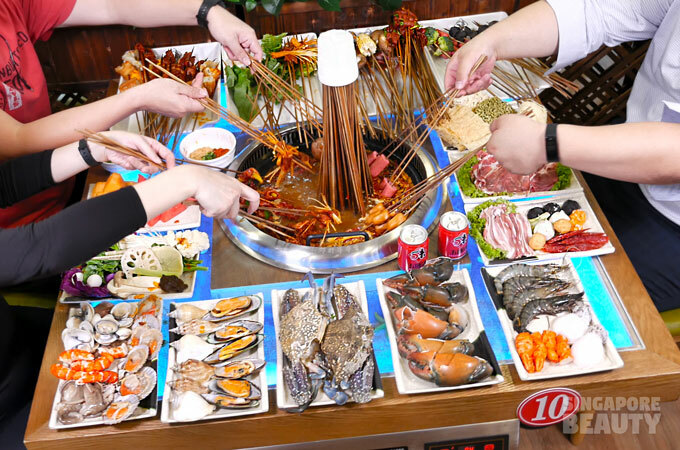 Try the $138 one metre long DM lobster+spicy chicken platter if you are looking for a mix of meat and seafood. 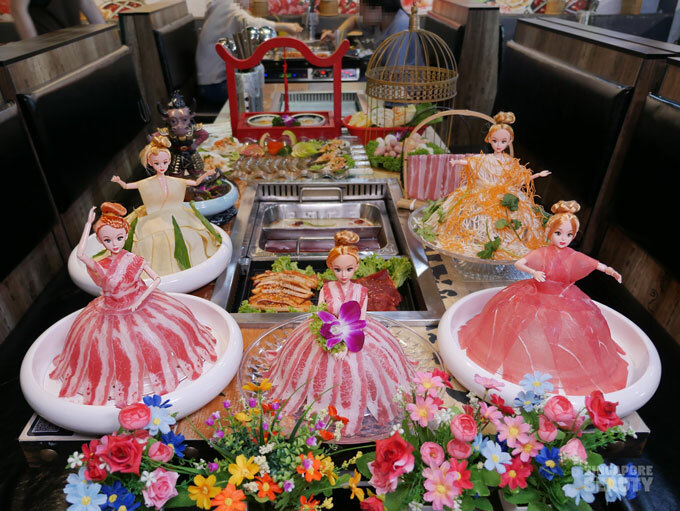 Add on more side dishes such as fried wings, golden oysters and kimchi soup to complete the meal. 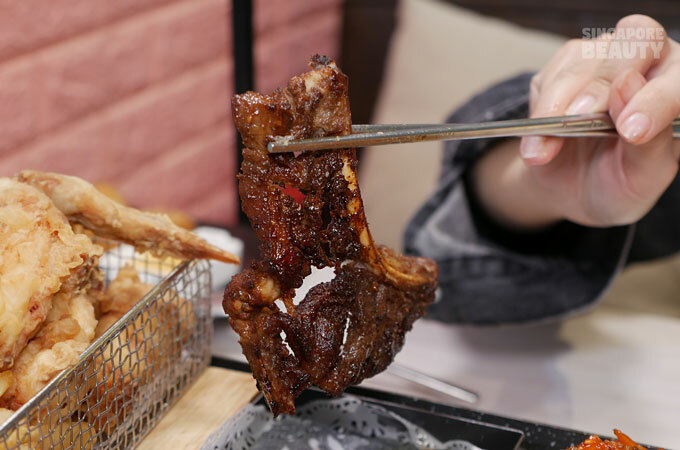 Order their marinated in house chicken wings too if you are a fan of deep fried crispy wings (choice of squid ink, tomato,honey mustard, amber, sweet and sour and spicy flavours) at $9.90 each set. 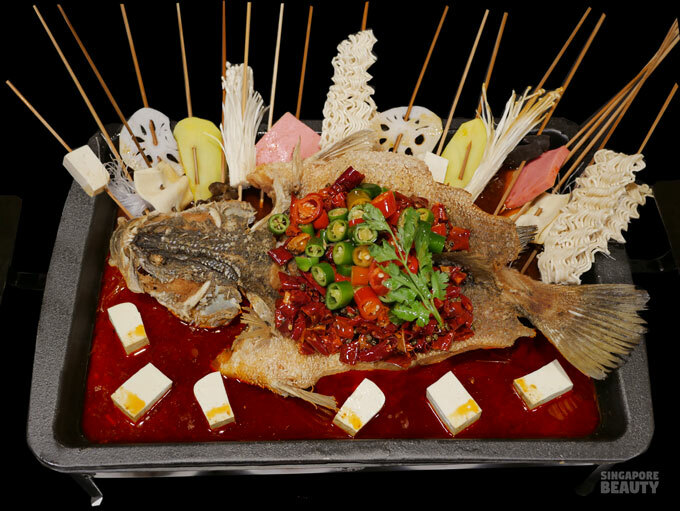 The set of squid ink looks intimidating but taste the best surprisingly. 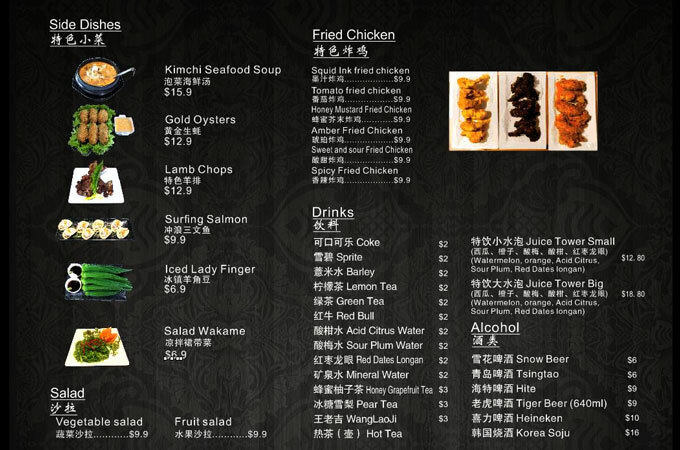 Here is a copy of their menu. 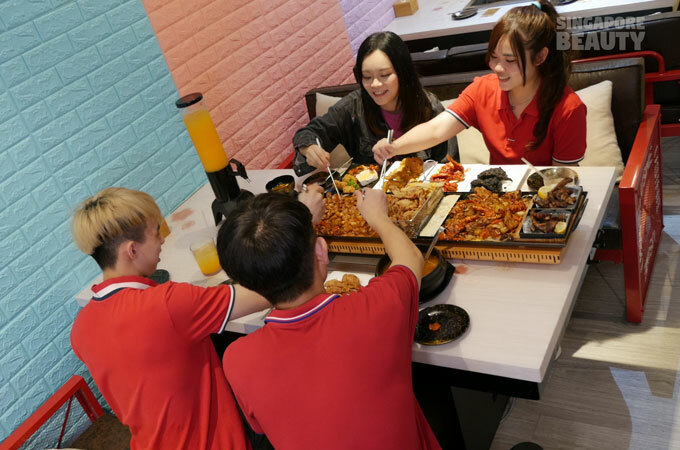 They also have a 20% discount for all DM platters from Mon to Fri (exclude PH) if you dine before 3pm! 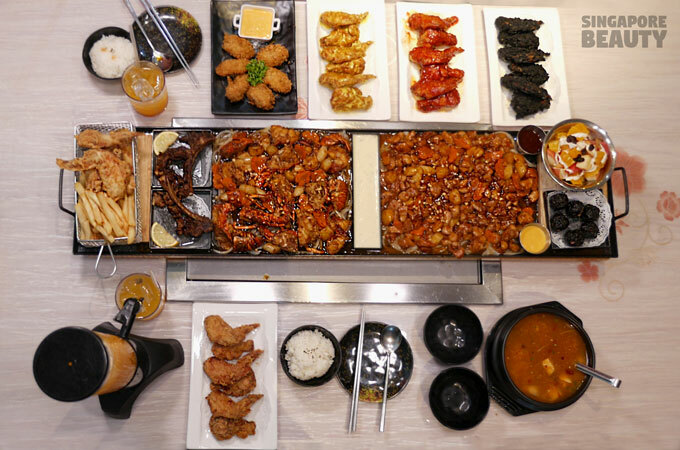 In this platter there are a set of chicken bites(choice of spicy or non-spicy), a set of 3 mid size lobsters, 2 marinated lamb ribs, a basket of wings with fries, salad bowl and a set of 6 squid balls. 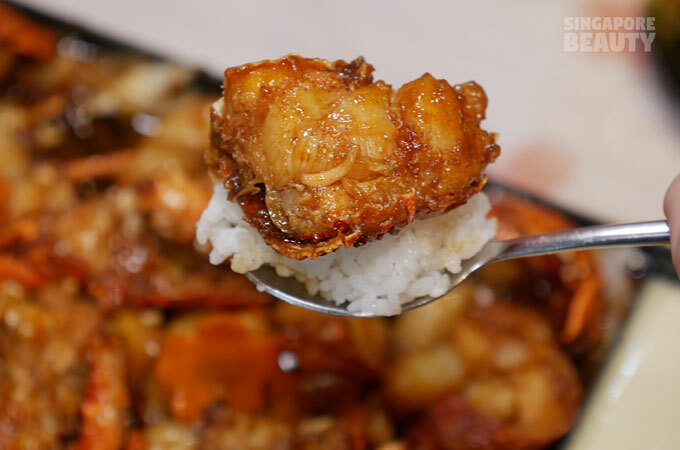 Order a bowl of rice to go with these savoury lobster. 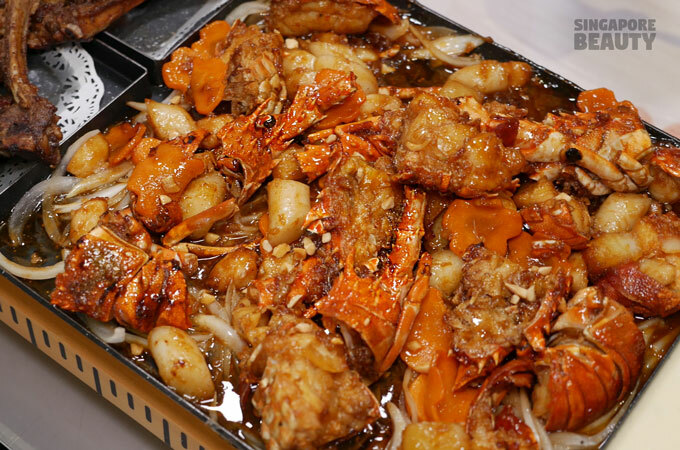 Lobster are served in chunks and halves for ease of consumption. 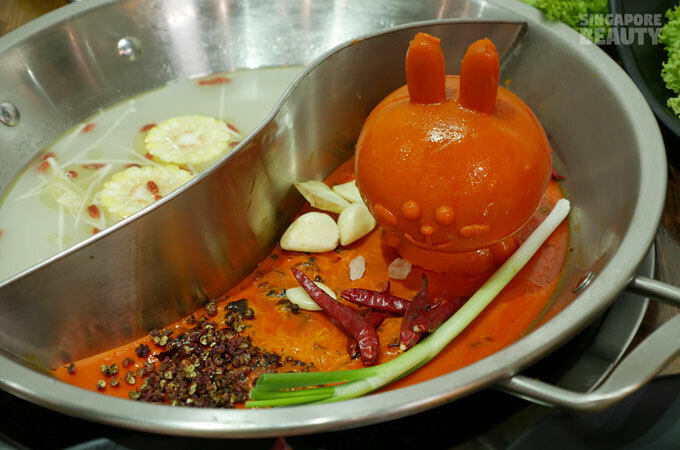 You can easily detach the shell from the flesh and enjoy the chunks of crunchy flesh. 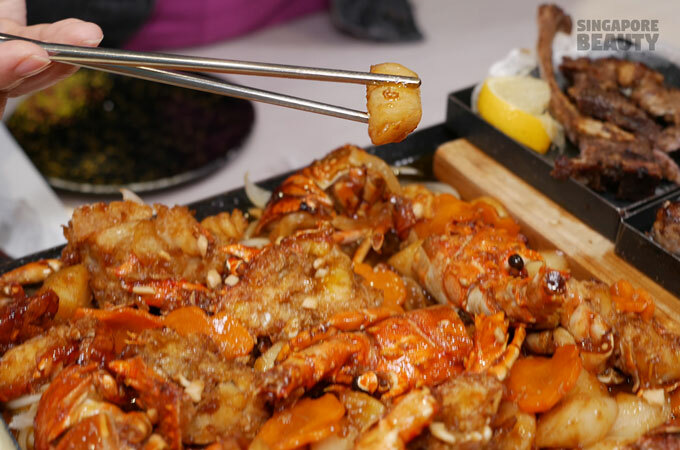 These lobsters are stir fried with rice cakes and sweet pungent garlic cloves. These lamb ribs are marinated with spices and texture is like blood sausages. 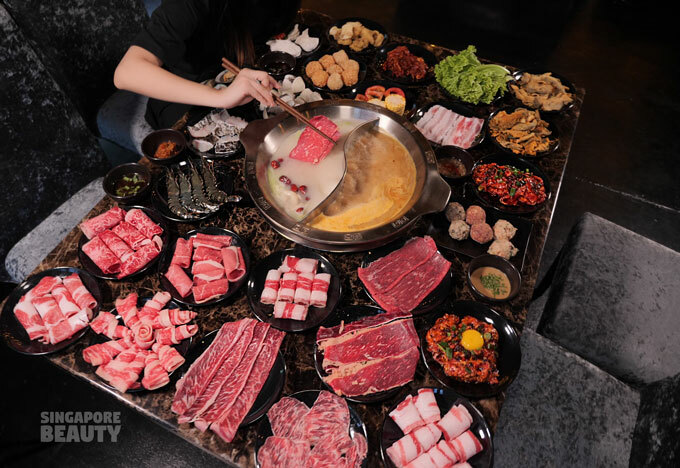 The meats melts in your mouth like livers. Add a dash of lemon for the extra zest. 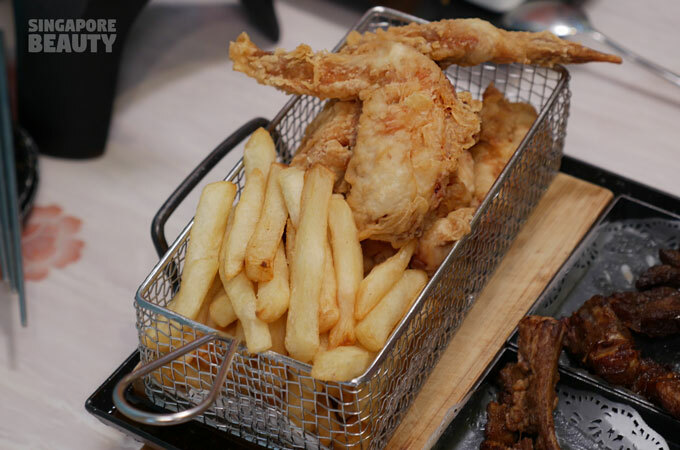 A basket of crispy wings with thick fries. 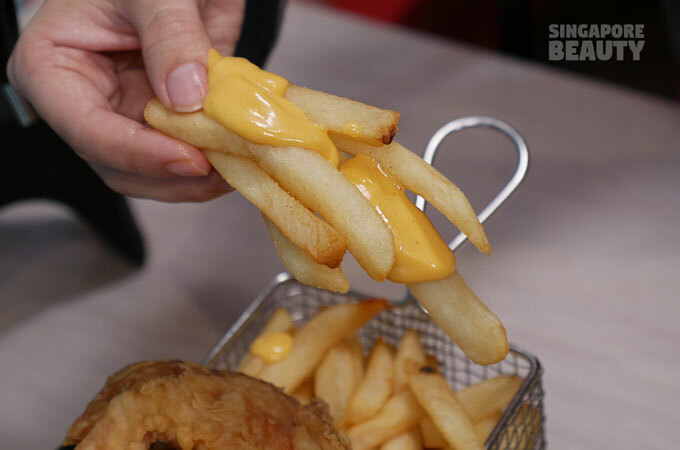 Create your own cheese fries with the sauce! These are fat fries crispy on the outside and mushy inside. 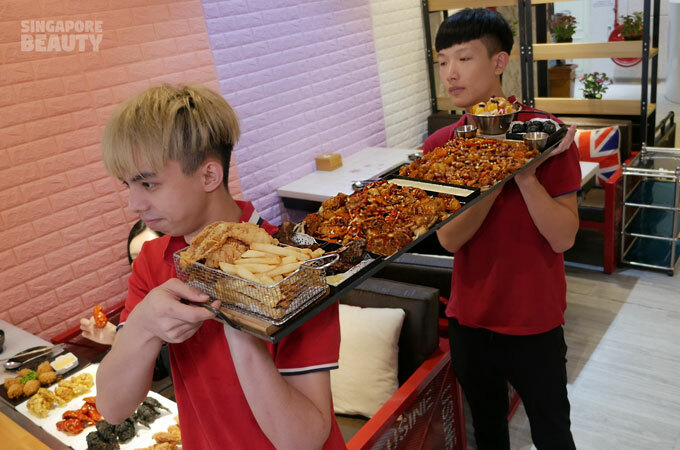 The platter usually comes with 3 dips (cheese dip, mayonnaise dip, sweet and sour) dip to savour the wings. 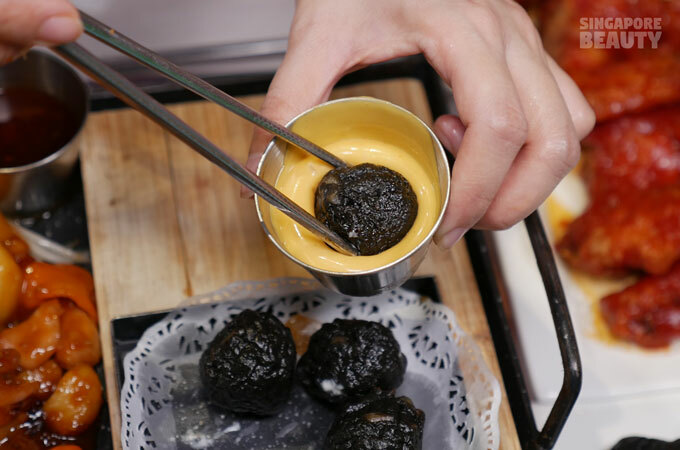 The squid ink balls goes well with the slighty sweet and saline cheese dip. 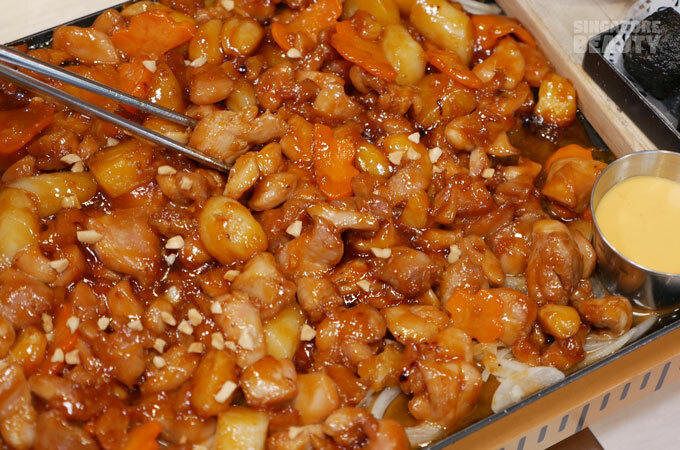 The sweet and sour dip for chicken bites. 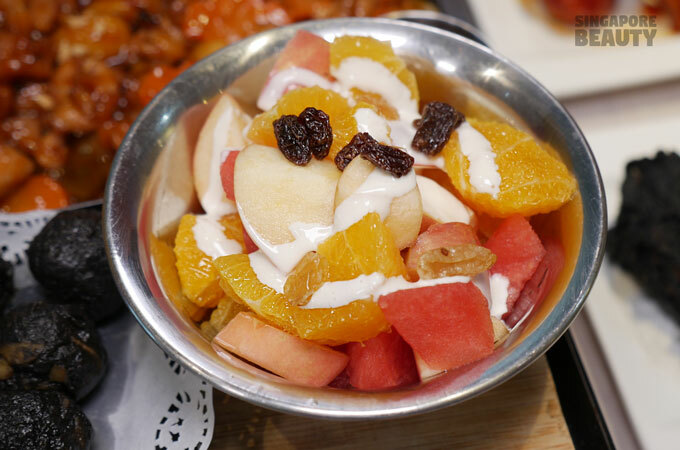 Salad bowls are made (cubed watermelon, orange, and apple) in light cream and topped with raisins. Refreshing bites to complement the deep fried wings and fries. 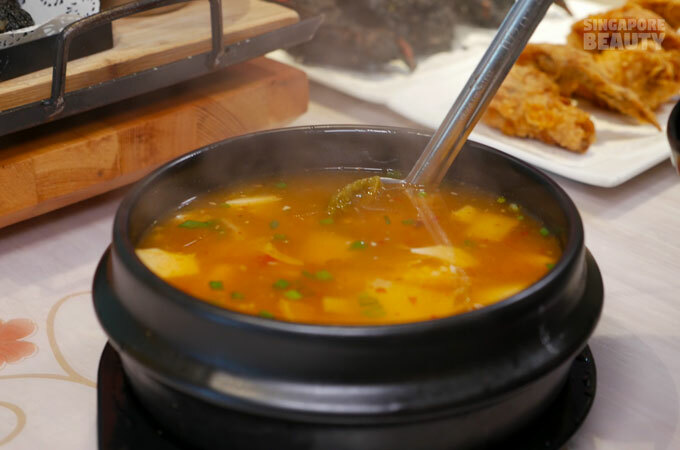 How about a bowl of hot simmering seafood kimchi soup served in black casserole? A bowl of light savoury soup with pineapple cut squid, prawns, silky cubed tofu and of course kimchi. 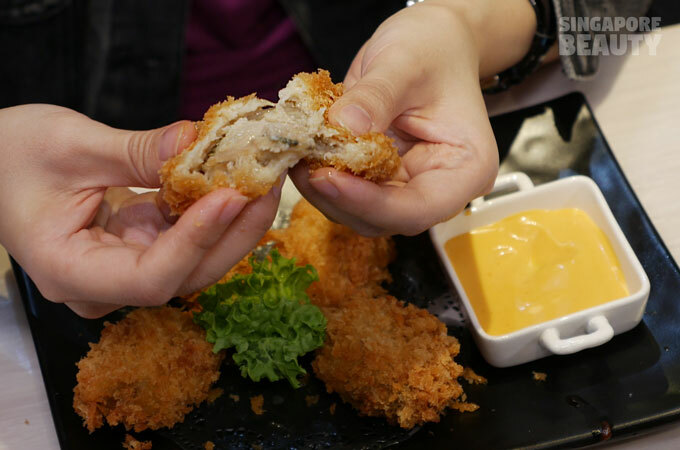 A set of golden deep fried oyster to share among friends. 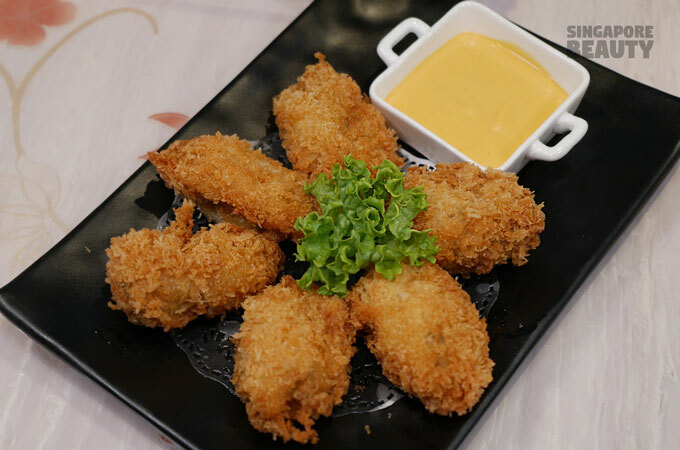 A good size breaded creamy oyster that comes with a cheese dip. 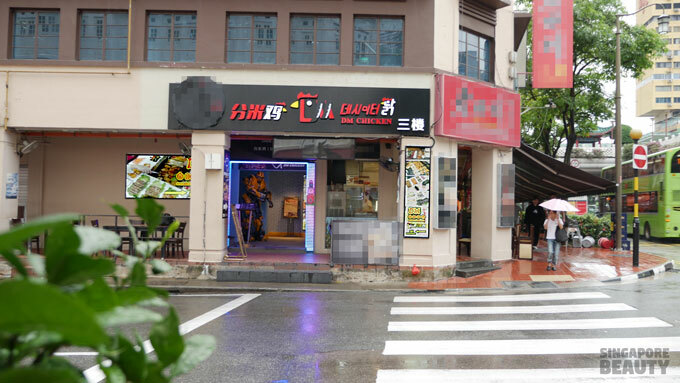 DM chicken is a short walk from Chinatown MRT station. 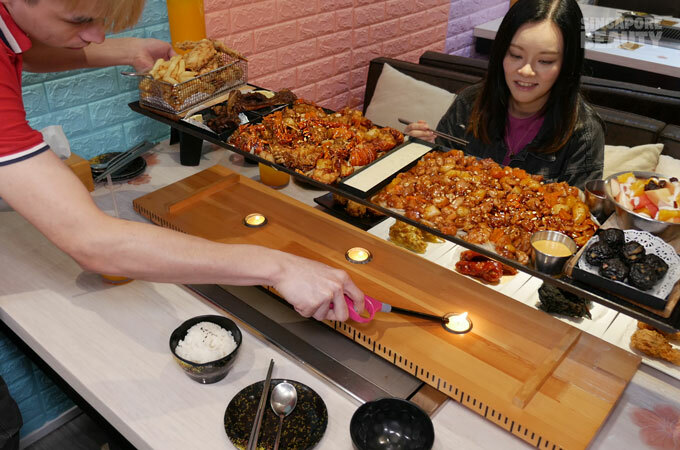 20% discount for all DM platters from Mon to Fri (exclude PH) if you dine before 3pm! Exit E or exit A from Chinatown MRT. Brought to you by DM Chicken.